When city leaders cracked down on Spring Break back in 1985, it wasn’t that they wanted students to stay away forever. Come back, they said, when you’ve got a little more money and a lot less inclination to bust things up. 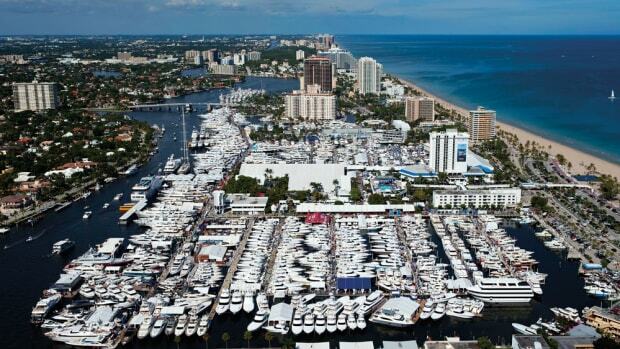 Now here you are: all grown up, attending the Boat Show and once again looking for extra-curricular activities. Consider this your recreational-direction-finder and note that its compass needle sweeps across four basic quadrants: beach, bars, buying and bling-bling. 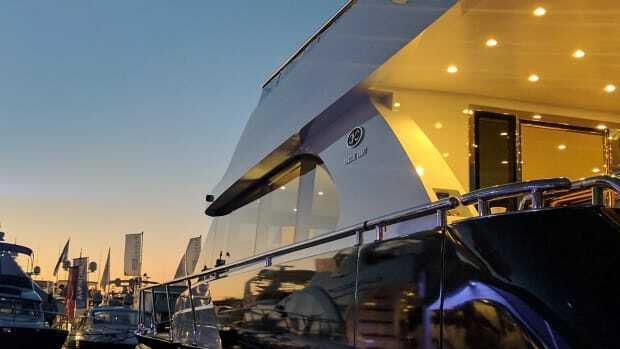 What is a yacht, after all, if not the ultimate bling? 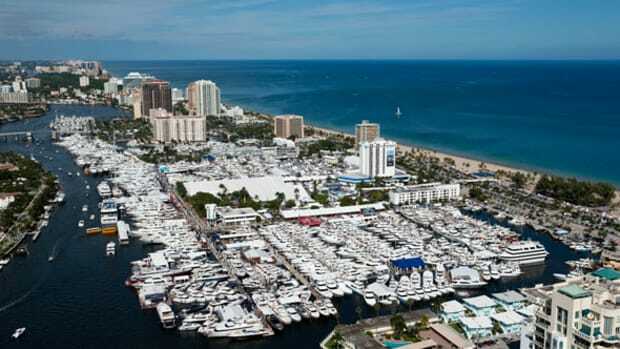 Outside the Boat Show gates, attendees will find a host city eager to please, with attractions and cuisine that range from redneck to refined. With so many drinking establishments, it is no wonder local wharf rats persist in calling the city by its old spring break moniker of “Fort Liquordale.” Bling and booze notwithstanding, the city has its share of family friendly activities and even a measure of culture. Water taxis are the best way to avoid boat show traffic. Water taxi skippers act as tour guides, pointing out the homes of the rich and famous. Before we get to specific recommendations, a word to the wise on how to best enjoy life outside the show: Take water taxis or riverboats whenever possible. 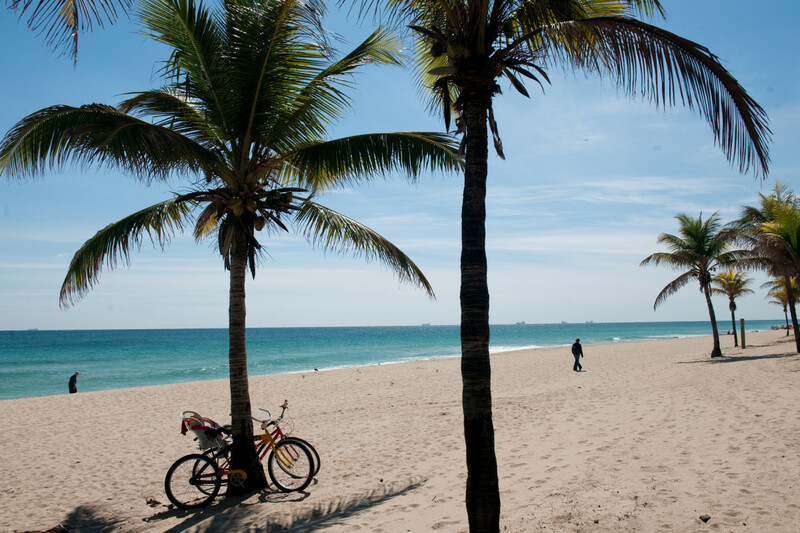 Like Venice, Ft. Lauderdale is best seen that way. Taxi crews provide running commentary on river sights, such as the homes on Millionaire’s Row, superyachts that have come to call and other noteworthy current events. There’s usually a little stand-up comedy thrown in. 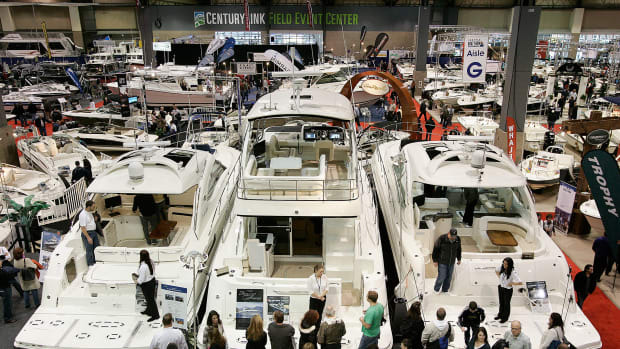 An all-day boat show pass is $38. 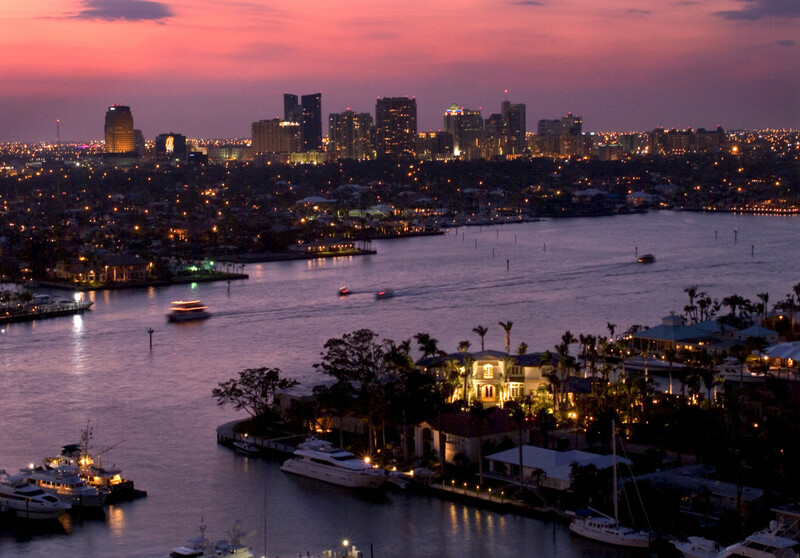 Most of Lauderdale’s attractions are clumped into four areas of the city: 1. within walking distance of the Bahia Mar docks; 2. in the vicinity of 15th and 17th streets; 3. up the New River to the Las Olas Boulevard district; and 4. northward along the Intracoastal Waterway to the dining and drinking venues near the Oakland Park Boulevard Bridge. 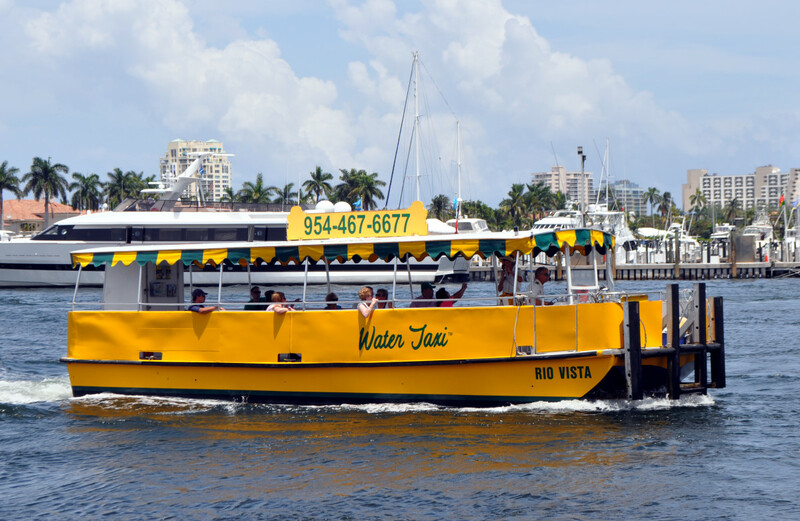 The water taxi has stops at all four, beginning at Bahia Mar, where a barge serves as waterborne transportation hub for the Boat Show. As you consider my restaurant and nightlife recommendations, try to think strategically, because parking can be a challenge. En route to the show, consider parking near your after-hours destination and taking the nearest water taxi to Bahia Mar, keeping in mind that the last boat will likely return around 7:30 p.m. Families with children should spend at least part of an afternoon at the beach, literally across Seabreeze Boulevard from Bahia Mar. 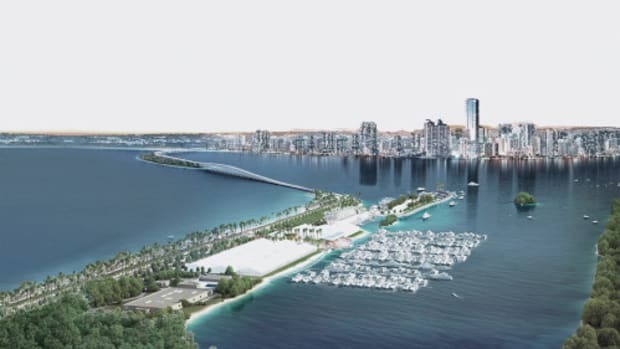 Ft. Lauderdale Beach is surely one of the finest urban beaches in the world, with a signature curving “wave wall” that turns a sidewalk into vibrant public space in its own right. The nearest beach to the show, South Beach Park, has restrooms for changing into bathing suits. A world class beach, one of the best municipal beaches in the U.S., is just a short walk from the show. 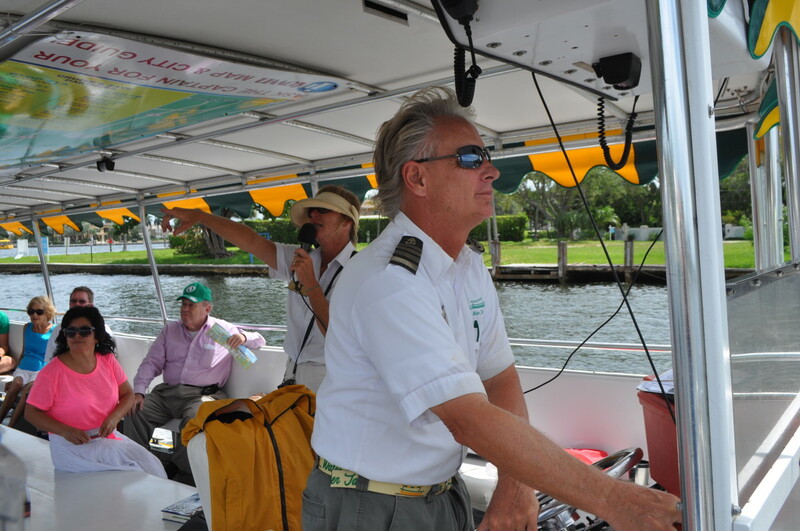 Another kid friendly pastime would be taking a Duck Tour, a land-and-sea tour of Ft. Lauderdale’s mansions and yachts; an alternative if water taxis don’t fit into your plans. You get a 90-minute tour aboard a modern amphibious vehicle that resembles an old World War II DUKW beach landing craft. 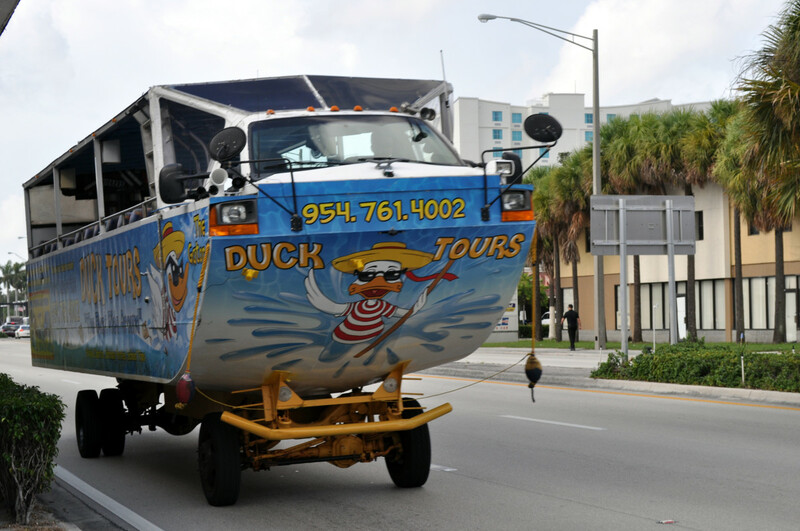 Amphibious vehicles of the Duck Tours fleet are a great way for newcomers to learn about the history of the city. The 15th Street Fisheries and Dockside Café is another fun place. It wins “Best” awards regularly and happens to have its own water taxi stop. While adults enjoy happy hour cocktails and watch the yachts go by, kids will be happy feeding the tarpon and jack crevalle that show up at about the same time. (The restaurant provides shrimp bits.) Musicians liven up the evening on weekends. The Museum of Art on Los Olas Boulevard a couple hundred yards from the water taxi stop at the Briny Pub and Eatery, an Irish and nautically themed venue on the New River, is another great spot to check out. Time your visit at the museum so that you’ll be out in time for Briny Happy Hour from 4 to 7 p.m. Or come early and visit the more than 200 shops and restaurants on Las Olas. 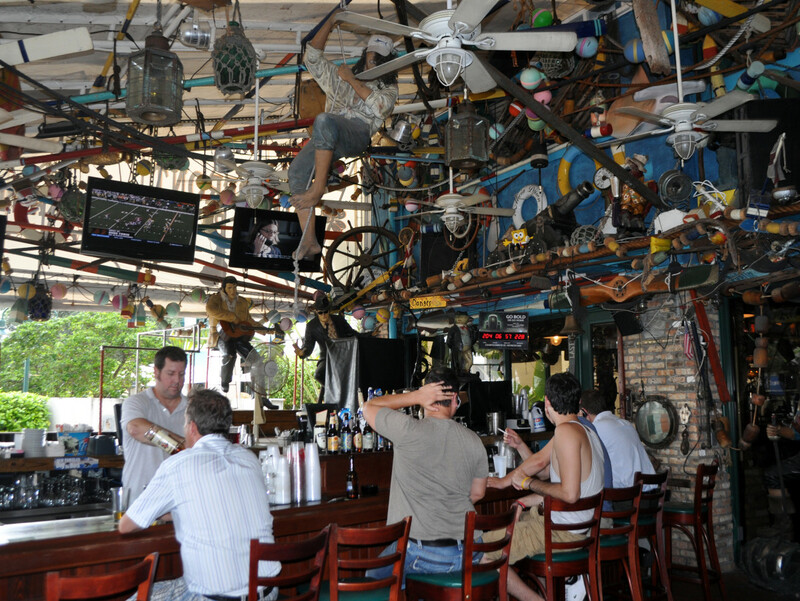 The Briny features live music Friday and Saturday nights. Saloons such as the Briny, located near a water taxi stop on the New River, abound in "Fort Liquordale." Las Olas was on my mind when I introduced this story with reference to bling. Yolo Restaurant is not a place for scruffy folk, a message sent loud and clear by the red Ferrari parked semi-permanently in the drive. Here you can rub elbows with the oh-so-beautiful people of South Florida while enjoying a decent feed. The menu includes a daily fresh fish special. For celebrity sightings and superb Italian cuisine, Martorano’s Café on East Oakland Boulevard is a few steps away from the northernmost water taxi stop. I have seen so many photos of Hollywood characters and sports figures posing with Chef Steve Martorano that I was pleasantly surprised to see the burly Philadelphia native personally manning the pasta station in his open-concept kitchen. The restaurant has a shiny nightclub atmosphere, and the upbeat tunes were ripped from a South Philly playlist via Motown. Service is impeccable. While we’re in the vicinity of the ICW at East Oakland, lets talk about Saturday night. That’s when Shooters Waterfront Café hosts its wild and, dare I say it, risque Halloween party. I predict this will be a big year for vampires and zombies, some of whom will be clad scantily. Oh to be twenty-something again! An affordable dining alternative may be found at the Southport Raw Bar, an old Lauderdale favorite that stands athwart the head of the canal that parallels 15th Street. This rustic favorite proclaims: “Eat clams, last longer. Eat fish, live longer. Eat oysters, love longer.” And the boiled shrimp seasoned with Old Bay are as good as you’ll find anywhere. The fish is prepared in straightforward, unpretentious fashion. Ernies near the intersection of 17th Street and 1A is a local eating and drinking landmark. 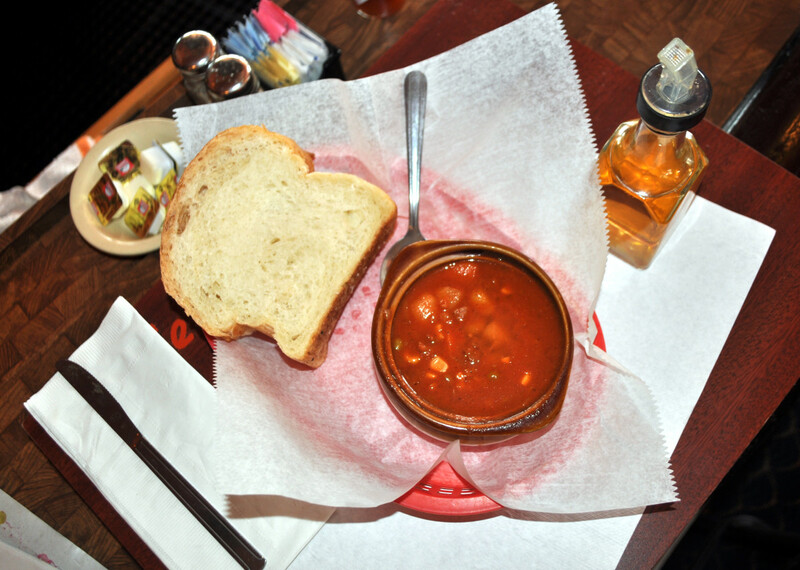 Conch chowder with Bahamian bread is a must-try at Ernie&apos;s.
The Raw Bar has been around since the 1970s but it’s just a pup compared to Ernie’s, a barbecue joint on Route 1 near the junction of 17th Street. 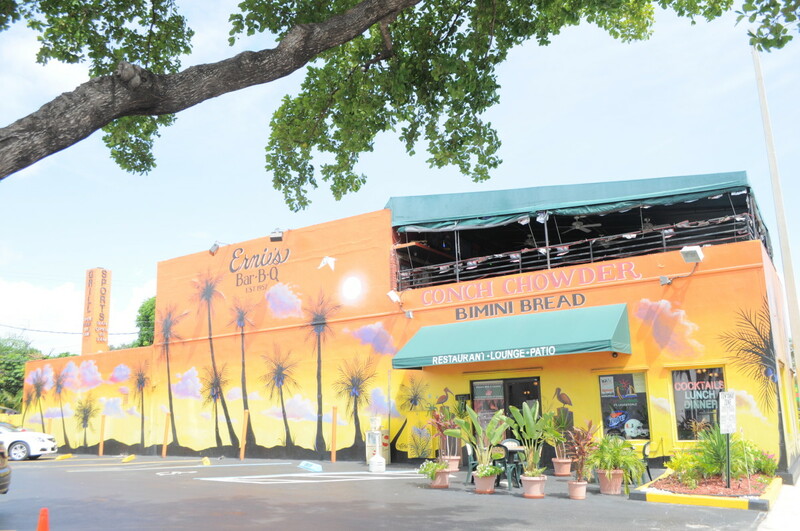 Ernie’s BBQ and Lounge first opened in 1957, and, counter-intuitively, is famous for its conch chowder, served with a two-inch slice of Bimini bread, baked on premises. Once upon a time, a local newspaper omitted Ernie’s from its annual list of best chowder venues because the owner refused to divulge his ancient recipe. Smokers will appreciate fact that the Ernie’s deck is one of the last eateries in Florida where they can smoke at the dinner table, and check out the armor-clad men’s room, proof against the rowdiest, wall-kickers among its clientele. Alas the Lauderdale music scene has not quite recovered from the loss of O’hara’s Jazz Café on Los Olas, but if your musical taste turns Irish, The Field Irish Pub & Eatery on Griffin Road in nearby Dania Beach, features the popular quartet, Celtic Bridge, every Thursday, Friday and Saturday night. The Field is also known for its authentic fish and chips and an equally authentic Rod Stewart impersonator, who, sadly, only performs on Wednesdays. Seeing that we are in South Florida, there is another way to get fish. Catch them yourselves. 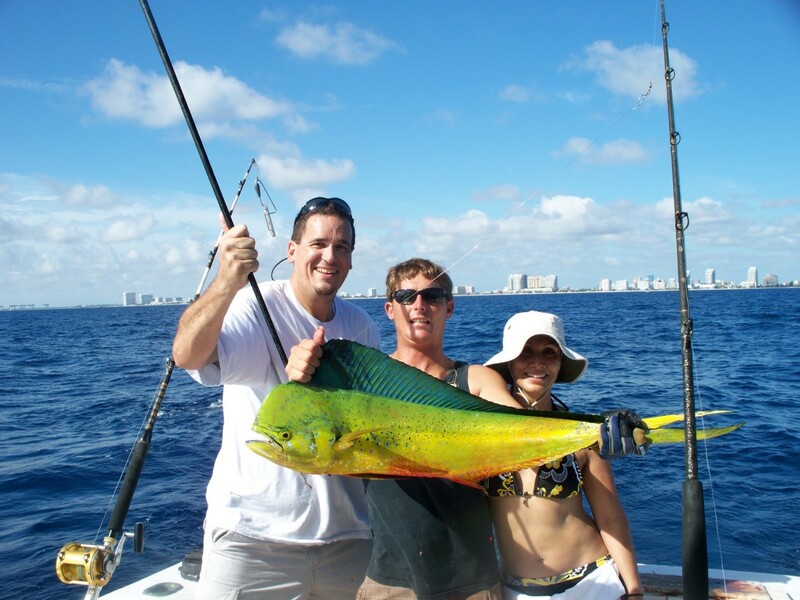 Roughy 20 charter boats run from Lauderdale, and one of the biggest and most popular operations is The Fishing Headquarters on the ICW and Seabreeze Boulevard, a short walk from Bahia Mar toward Las Olas. The company, owned by the Roydhouse family, has a fleet of charter fishing boats, including the party boat Catch My Drift for drift fishing, available for four-hour charters morning, afternoon and evening. 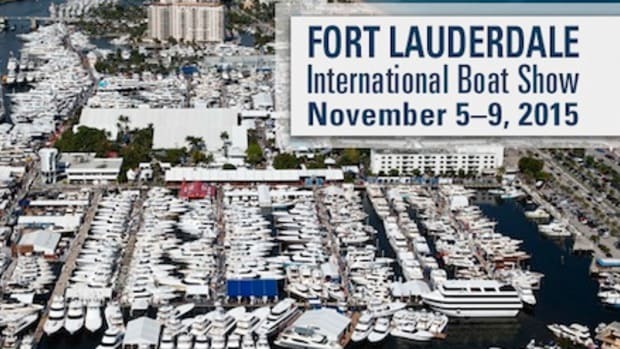 Sportfishing trips are a side-event for many attendees and industry people during the boat show. Capt. Paul Roydhouse says showtime is dolphin season, as they still call Mahi Mahi hereabouts, and even if you are staying at a hotel, you can eat what you catch. He says The Quarterdeck and Coconuts are two restaurants that are happy to clean and prepare your catch to order. Let me end by plugging two unique Lauderdale institutions. The first is Sailorman, “the world’s largest” surplus and used boat parts store. The store is at 350 East State Road 84, not far from the intersection of 17th Street and U.S. 1. The owner of 28 years is a genial wheeler-dealer named Chuck Fitzgerald. 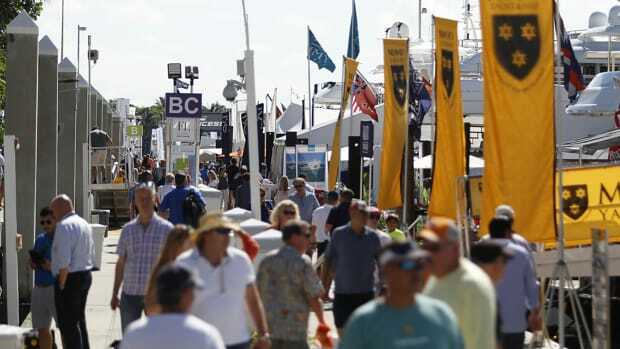 Sailorman opens at 8:30 a.m., which leaves plenty of time to browse the cluttered racks of pumps, valves, anchors and other treasures and still make the Boat Show opening at 10. Late last year, West Marine was kind enough to open the biggest boating store in the country almost next door to Sailorman, causing an uptick in traffic that brings a smile to Fitzgerald’s face. 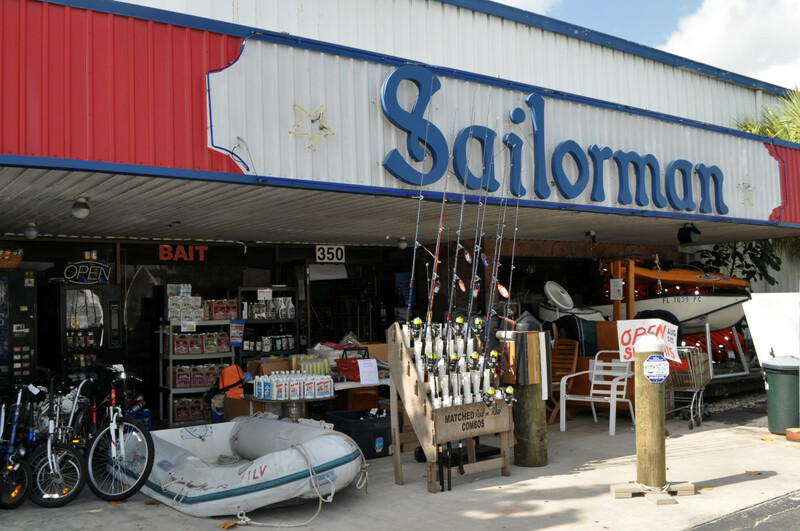 West Marine opens at 8 a.m.
Sailorman is a Fort Lauderdale institution, selling all manner of used and surplus nautical gear. Lastly, no nautically minded person should come to the Yachting Capital of the Universe without visiting BlueWater Books & Charts in the Harbor Shops plaza just off 17th Street. BlueWater Books, one of the last big nautical booksellers in the nation, features a superb inventory of non-fiction, fiction and technical tomes. 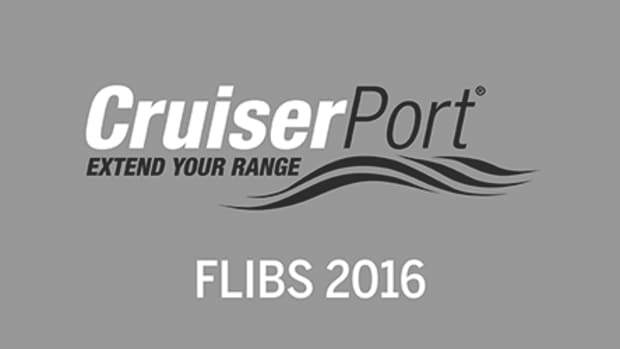 This is the place to decide which charts to buy before voyaging¾whether in paper or electronic form¾which cruising guides to follow and which flags fly.